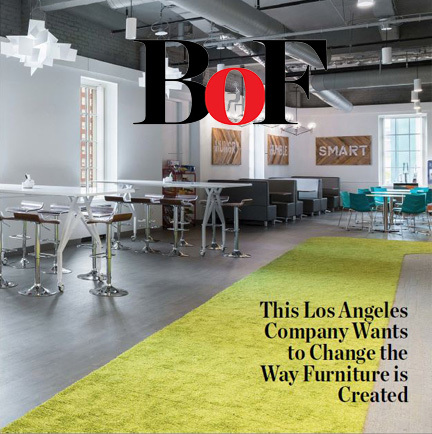 Made in Los Angeles, Clara Reis and David Winston’s contemporary office furniture empower employees and help brands compete. "Part of the Company's success stems from Reis and Winston being outsiders. They approach things with a fresh set of eys". NeoCon is held every June in Chicago at The Mart since 1969, NeoCon is for the commercial design industry’s innovation that offers ideas and introductions that shape the office environment today and into the future.